A multi faceted integrative program, that follows a spiral journey inward and outward, with no beginning and no end. Where you start with the program, therefore is not important; that you actually start anywhere, is! 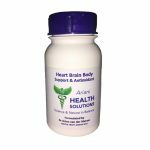 Heart-Brain-Body Support and Antioxidant Nutriceutical (food as medicine) supplement range to support cell function and cell-to-cell communication in all organs and systems, to ensure longevity, rejuvenation and optimal function. Results from various scientific studies suggest that compounds in Astragalus root, slow down the telomere shortening rate by preventing oxidative stress with its excess free radical formation. This is mainly due to the biological properties of the compounds to reduce DNA damage and improve DNA repair ability, thereby preventing and delaying cellular ageing and enhancing longevity. Ginkgo is probably the most essential ingredient in any heart, brain and nervous system supplement. Ginkgo improves the blood flow to the heart, brain and the entire body – allowing the tissues to get more oxygen, nutrients and fuel (glucose) for energy. On a cellular level ginkgo stabilises cell membranes, disposes of free radicals, stimulates enzymes that allow the arterial smooth muscle to relax (important in hypertension and stroke) and suppresses platelet aggregation (important in the treatment and prevention of hypertension, heart attacks and stroke). Ginkgo has a marked antidepressant effect and normalises blood pressure. The ingredients in ginkgo also protect the neurons throughout the body and are responsible for ginkgo’s ability to improve memory and mental function. Its antioxidant effect is very important in the brain, which is very sensitive to free radical damage. It also prevents platelet clotting and reduces the viscosity of blood – blood is then less inclined to form clots. Green tea supports the metabolism and improves the immune system while maintaining youthful cells. Ingredients in green tea provide protection against LDL-cholesterol (bad cholesterol) oxidation and suppresses the growth of many types of cancer. They also provide protection from damage of free radicals caused by air pollution and smoking, therefore encourage cell repair, rejuvenation and longevity. Supports all endocrine glands, incl. thyroid, male and female reproductive systems and adrenal glands for optimal physiological function while providing support in coping with stress. Resveratrol protects against cancer, effects of ageing, atherosclerosis and other cardiovascular diseases and reduces inflammation – always knew red wine was good for you! The French obviously know something. In all the countries where there is a high consumption of red wine the incidence of cardiovascular disease is very low.Resveratrol is a very potent antioxidant and protects all the body’s systems against ageing, thereby supporting cell rejuvenation and longevity. As the key support enzyme for the body’s energy systems for optimal fuel production, this co-enzyme occurs in abundance in the mitochondria of every cell. The mitochondria are the power generators of the cell where all the energy for the cell’s biochemical functions is produced. Energy is stored in the cell in the form of adenosine triphosphate (ATP) which is released as energy molecules when required. CoQ10 is an essential catalyst in this process, ensuring efficient and sufficient energy (fuel) for all cells, allowing them to work optimally, remaining and acting young. Cells starved of energy (fuel) age faster. CoQ10 supports brain function, rejuvenates and invigorates the heart, sharpens memory and turbo charges the immune system. Gamma amino butyric acid (GABA) is a neurotransmitter with a calming effect. GABA also contributes to mental alertness and improved memory. Vitamin A is an antioxidant that neutralises and removes free radicals. It supports collagen production in the dermis, which causes the middle layers of the skin to plump and retain moisture. Vitamin A nourishes and hydrates the skin, improves texture and tone, repairs the cellular structure of the epidermis, counteracts inflammations and protects cell membranes and other structures within the cells from the damage caused by free radicals and in this way helps to prevent skin disorders. Vitamin A increases blood flow, stimulates the skin and protects against sunburn. Vitamin A is also used in anti-wrinkle products as it supports the healing of damaged connective tissue, thereby assisting in smoothing the appearance of wrinkles, fine lines and scarring. Vitamin A is a potent antioxidant and supports the heart, brain, nervous system and immune system. Vitamin E and Vitamin C are potent antioxidants and neutralise and destroy free radicals, therefore delaying the ageing process in all tissues and organs, promoting the longevity, renewal and rejuvenation of skin. One cause of ageing is the accumulation of free radicals over a lifetime, with associated tissue damage. Both promote the healing of wounds, while preventing and reducing the formation of scar tissue and stretch marks. Both are excellent natural preservatives due to its antioxidant and antimicrobial (preventing growth of bacteria and fungi) properties. Vitamin C is probably best known for its role in collagen production. Collagen maintains and gives structure to the subcutaneous tissue and protects the structure of the skin. Loss of collagen is an important cause in ageing of the skin. Vitamin C retards this process and improves the collagen support in the skin and is, with Vitamin E, vitally important for maintaining the condition of all tissues and accelerating the healing process after injury or tissue damage. The B-complex group of vitamins act as minor antioxidants. As co factors, however, they are essential for the effective functioning of the antioxidant enzymes. The B complex vitamins increases energy levels and optimise physiology and metabolism. Folic acid is essential for normal deoxyribonucleic acid (DNA) in the nucleus of every cell. Marginal deficiencies can lead to chromosome defects. Most adults have a folic acid deficiency, making supplementation essential. This is especially important in cancer and ageing, where a malfunction in growth control caused by a genetically inherited DNA chromosome abnormality already exists. Vitamin B12 and folic acid reverse early changes in cancer and prolongs cell regeneration and therefore longevity. Vitamin B6, B12 and folic acid are also very important for regulating the levels of homocystein. Together with vitamin E, they prevent the damage to blood vessels (atherosclerosis) associated with high levels of homocystein. A super charged delivery system of active nourishing ingredients for the skin, penetrating deeply to repair, regenerate, replenish and rejuvenate. 100% natural, made with pure, organic ingredients, carefully selected and formulated using the highest grade herbs and plant oils with gently healing, deeply nourishing and penetrating abilities. The pure essential oils used to create the unique signature scent, also have therapeutic qualities, thereby enhancing the formulation. A potent and natural Serum with health and longevity promoting, rejuvenating, DNA telomerase enzyme supporting, herbal ingredients, blended with moisturising, healing and nourishing, mostly South African oils. Special oils and herbs were carefully selected to nourish, deeply moisturise, plump and rejuvenate even the most sensitive and dehydrated skin. Some of the oils were used as infusion medium for the telomerase activating herbs, to ensure youthful DNA support, while simultaneously restoring the skin’s moisturising and rejuvenation ability. The Serum is composed of a high concentration of active plant extracts in its purest form. It is therefore concentrated and to be used sparingly – drop by precious drop –suitable for all skin types, for men and women. Dr Arien’s Timeless DNA Serum complements your day and night skin care product regime by adding essential elements to it. As most serums, it is not a moisturiser, even if you might find it provides enough moisturising for your skin. This Serum acts like a super charged delivery system of active nourishing ingredients to the skin, penetrating skin more deeply than a moisturiser to repair, replenish and rejuvenate, but not necessarily replacing it. your skin, body and the sustainability of the earth! Brain re-patterning, releasing trapped emotions, creating inner peace, joy, playfulness and serenity through an active Mind-Body-Soul Lifestyle Program to reprogram for optimal health, perpetual optimism and youthful living. The Series will be presented by Dr Arien van der Merwe (Medical doctor, Specialist in Natural Medicine, Mind-Body & Integrative Medicine), holistic health practitioner, author, baby boomer and lover of life! If you want to get the most out of a long and healthy life, you need to know how to choose wisely and well. It is never too early or too late to make positive changes! In ‘Health & Happiness’, Dr Arien explores the connection between stress and good health, and how cultivating a life where stress is managed, implicitly leads to improved health, wellbeing and longevity. She explores the different aspects of a healthy lifestyle – ranging from exercise, relaxation, and the correct use of vitamins, minerals, bioflavonoids, amino acids and herbs, to the importance of food supplements for sportsmen and -women. Step 1: The Serum to reactivate Telomerase enzyme in cells of skin, while deeply nourishing and supporting optimal skin cell function, reducing wrinkles, restoring collagen and youthful looking skin – Beauty Without. Step 2: Heart-Brain-Body Support Nutriceutical (‘food as medicine’) food supplement range to support cell function and cell-to-cell communication in all organs and systems – Beauty Within. Step 3: Youthful Living Program – Brain re-patterning, with emotional release work, creating inner peace, joy, playfulness, serenitythrough an active Mind-Body-Soul Lifestyle Program- Beauty of Being. You are invited to participate in a Series that could change your life and how you view your ageing process – with emphasis on longevity, rejuvenation and new ways of thinking – let’s explore the possibilities together! Moving to positive wellbeing: joyful, thriving, flourishing! The Series will be presented by Dr Arien van der Merwe (Medical doctor, Specialist in Natural, Mind-Body& Integrative Medicine), holistic health practitioner, author, baby boomer and lover of life! Did you know that it is perfectly possible to live life well for at least 120 years? Wouldn’t that be wonderful if we retained our wits and mind-body health? Did you know that you can choose your biological age? Did you know that changing limiting beliefs and behaviour, combined with willingness to change, trump genetics when it comes to influencing how you will age? Epigenetics: you are not a victim of your genes after all! Inspiring creative activities to implement your fabulous future NOW: practical and fun! Content of Series will be based on Dr Arien’s Timeless DNATM Program and her book ‘Health & Happiness’internationally published by Fox & Raven, May 2014. Our generation, the Baby Boomers, do not accept that ageing is inevitable. We also know on a deep level, that the 50’s is the start of a whole new life, and not a winding down at all. The traumatic transition of empty nest syndrome and ending careers, jobs or relationships, once acknowledged, deeply felt and then deliberately let go of to move on, becomes the seed of a new beginning, new avenues of exploring all Life has to offer! We’ve been looking in the wrong place for solutions: it’s not outside, but…inside! Multidimensional DNA – 97% quantum chemistry vs 3% 3D chemistry identified by old science, modern quantum science – whole new paradigm! 5 Days – NEW Stomach Lining! The reason we continue to experience the same problems of ageing and debilitating disease and sickness, is because we continue to recreate the same body by doing the same harmful things to it as we’ve been doing, (up to now that is!). The same old feelings, food, fears, worries, concerns, lifestyle – similar to breaking down a derelict house with a weak foundation, rebuilding it with the same inferior building materials that caused the weak foundation in the first place! Even mainstream science acknowledges that we can easily become a healthy, vitally alive 120 years of age (our birthright as human beings),while current and future research is starting to indicate that even 200 years is actually an attainable human age! Being firmly in the centre of the Baby Boomer generation (those between 45 and 63 years of age at present), who have moved boundaries and old beliefs in all fields of human endeavour, from science, to wealth creation, health and even deciding how we’ll enter the wisdom years to become at least 120, it has become my life purpose to educate others of my generation, while providing the tools and techniques for us all to use to live the long, healthy, productive and creative lives in joy and playfulness, that is our birth right and the purpose of our souls’ journey on earth!This is the legacy I’d like to leave for future generations. This program is not only for Baby Boomers, of course, but for anyone wanting to take self-responsibility for their own health and wellbeing, at any age!